Young Chonburi students competed for up to 5,000 in cash prizes at the Lions Club of Taksin Pattaya’s annual traditional children’s pageant. 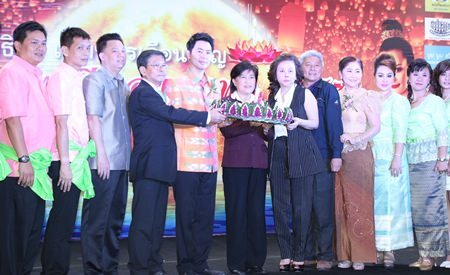 Eighteen boys and girls ages 9-14 took part in the annual Loy Krathong Thepthida and Thepphabut Duanphen (most beautiful god and goddess of the night of the full moon) contest at Royal Garden Plaza. 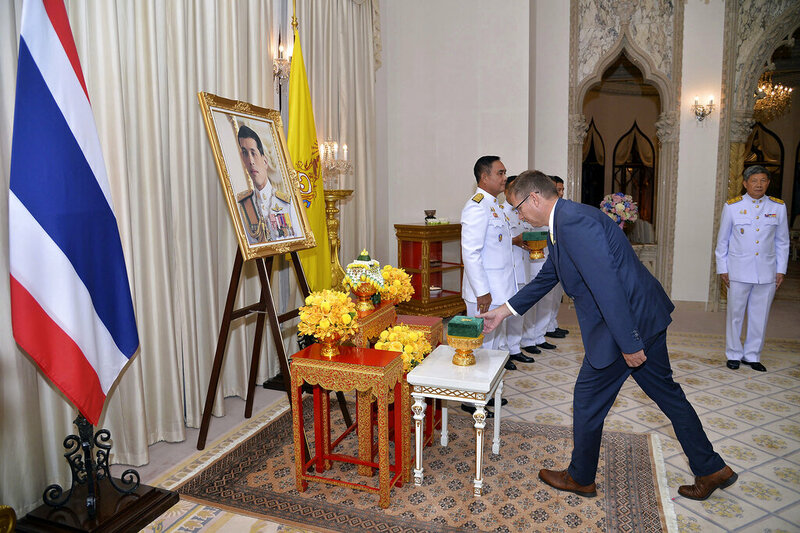 The kids, who must live in Chonburi or attend school in the province, dressed in traditional costumes and put on a three-minute cultural performance. 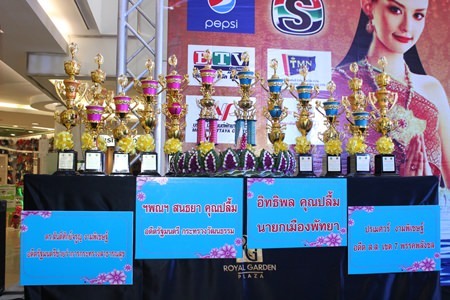 Former Culture Minister Sonthaya Kunplome handed out the prizes to both male and female winners. The Thepthida winner was Fahprathan Pholaaharn from Pattaya School No. 5. Second place went to Chernkhwan Singtoniwet from Sawang Boriboon Wittaya School, and third place to Tina Samarover from Marywit School. Winners in the Lions Clubs’ annual Theptida and Thepphabut Duanphen Contest gather on stage at Royal Garden Plaza. Thepphabut Duanphen’s winner was Tawanthai Khongsomrit from Lertpunya School. Second place went to Srongwut Akhotmee from Sawang Boriboon Wittaya School and third place to Phumiphasut Khongsomrit from Lertpunya School. 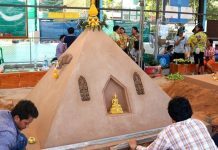 First-place winners took home 5,000 baht while second place won 4,000 baht and third place received 3,000 baht.